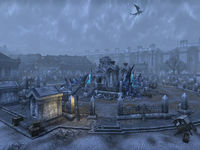 The Memorial District is the northeastern district of the Imperial City. It has an armory where a unique set can be crafted. Memorial District Objective: Discover what Molag Bal is digging for beneath the city. 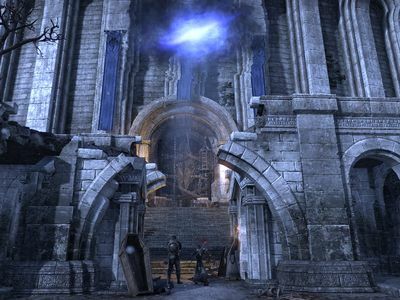 Each Alliance has a rally point in one of the ruined buildings around the inner circle of the district. 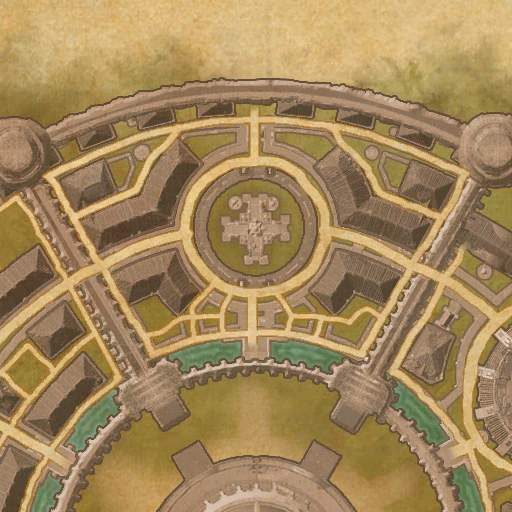 These can be accessed from the respective Alliance Bases in the Imperial Sewers. The rally points are protected areas which members of enemy alliances cannot access, but enemy players can still attack players at the rally point from below with ranged weapons and spells. There is a Sanctuary area in the immediate vicinity of the rally point trap-door which nullifies all damage while a player is standing in it. The Memorial District capture point is located on the bridge to the inaccessible Imperial Palace, in the south of the district. The Memorial Sewer Entrance is located near the eastern end of the district, along the outer wall. It provides access to the Harena Hypogeum section of the Imperial Sewers. 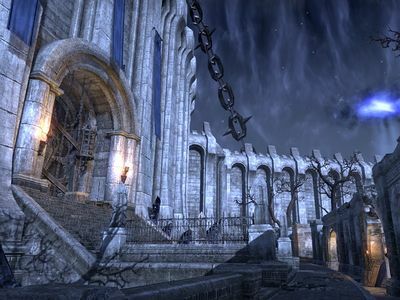 The Memorial District appeared in Oblivion as the Market District. This page was last modified on 26 March 2019, at 20:24.